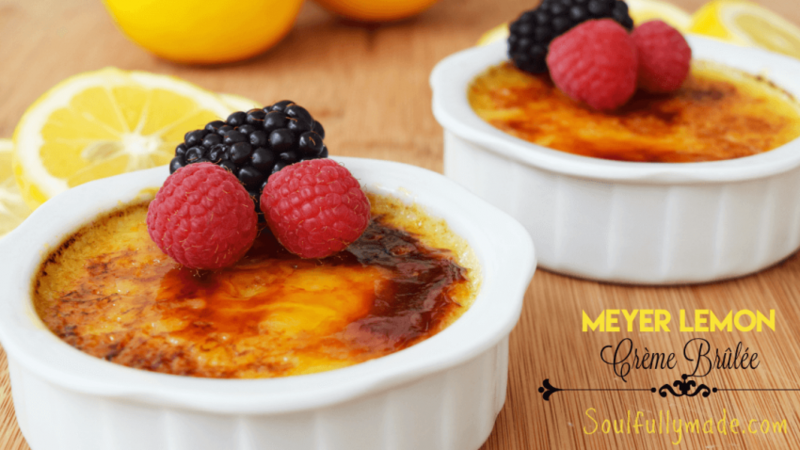 This Meyer Lemon Crème Brûlée is a magnificent way to celebrate the vibrancy of spring! 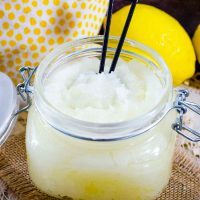 Its tangy sweet citrus from the Meyer lemon, blended with creamy vanilla custard, is sure to bring a smile to your face and happiness to your taste buds! There is something about Crème Brûlée I cannot resist. If I find it on a menu, I have the hardest time saying NO to this dreamy dessert. First you crack through the wonderfulness of that crunchy topping and then dive into the creamy custard, spooning up the most sublime bite you will ever put in your mouth! Can you taste it yet?? I thought since spring is thriving and has me craving citrus, I would use these beautiful Meyer Lemons and introduce them to the exquisiteness of Crème Brûlée. Doesn’t it sound like a magnificent way to enjoy spring? 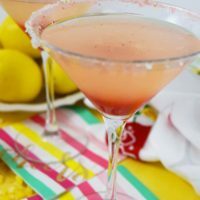 You say lemon and I say YES! Especially Meyer lemons, they have such a unique sweet flavor that adds extra brightness to any dish! In my mind, there is always room for a lemon dessert! 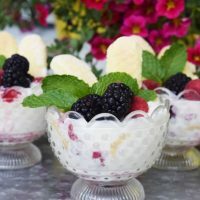 Grab your cute little ramekins and your kitchen torch and get ready to make this easy and fun dessert. Don’t worry if you don’t have a torch you can set them under the broiler to get that crunchy topping! Preheat oven to 300° and bring a kettle of water to boil. 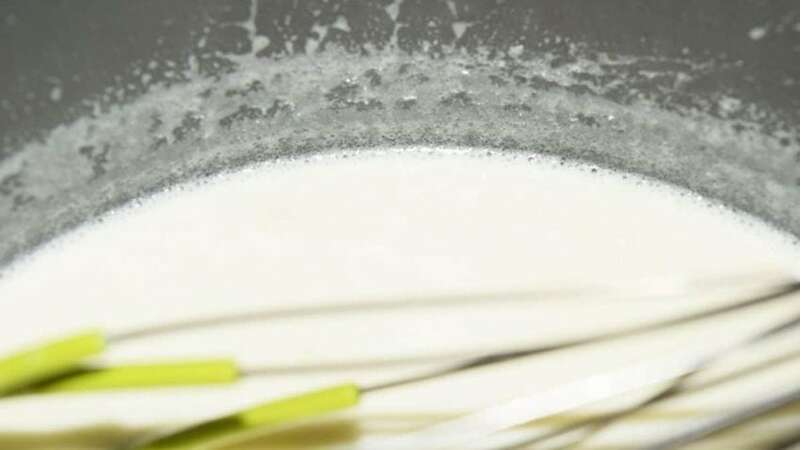 In a small saucepan, heat the cream and half of the sugar over medium heat. You want the edges to start to bubble, you don’t want to bring it to a boil. Just about 6 to 7 minutes. Meanwhile, whisk egg yolks, have of sugar, vanilla, zest, Meyer lemon juice and a pinch of salt together until combined. While whisking, slowly spoon in some of the hot cream into the egg mixture. You do this to keep the eggs from becoming scrambled eggs. 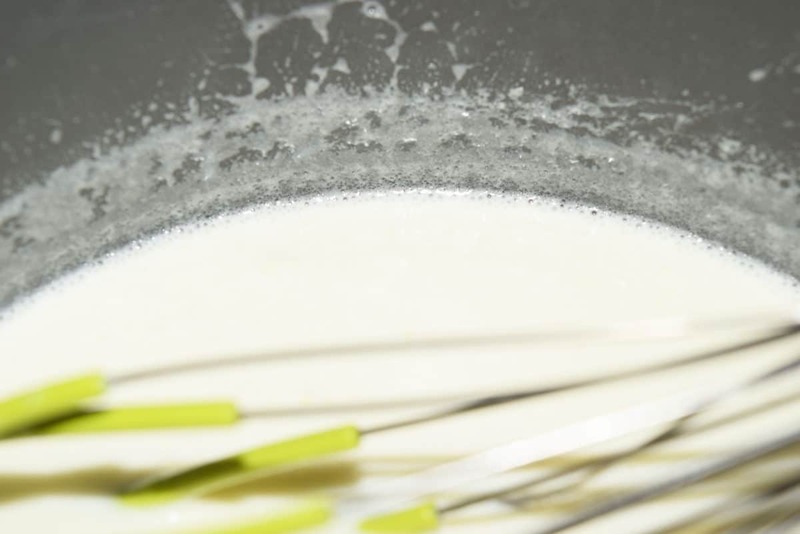 Then gradually pour in the remainder of the cream, while whisking. You can strain through a fine mesh strainer if you desire. I must admit I usually skip straining. Divide custard into four 5 ounce ramekins, place on a roasting or baking dish. Pour water into pan half way up the sides of the ramekins. Bake 35 to 40 minutes until custards are just set. They should be just slightly jiggly in the middle, but set around the edges. Carefully remove ramekins with tongs or spatula to a cooling rack and let set on counter for 30 minutes. Cover and chill for at least 4 hours or up to 2 days before serving. To serve, sprinkle with about 1 tablespoon of sugar over each custard. Use kitchen torch caramelize the top until it bubbles and browns. This can be done under broiler as well. Serve immediately after this step. You want to enjoy that crunch! Preheat oven to 300 degrees and bring a kettle of water to boil. Meanwhile, whisk egg yolks, have of sugar, vanilla, Meyer lemon juice, zest, and pinch of salt together until combined. 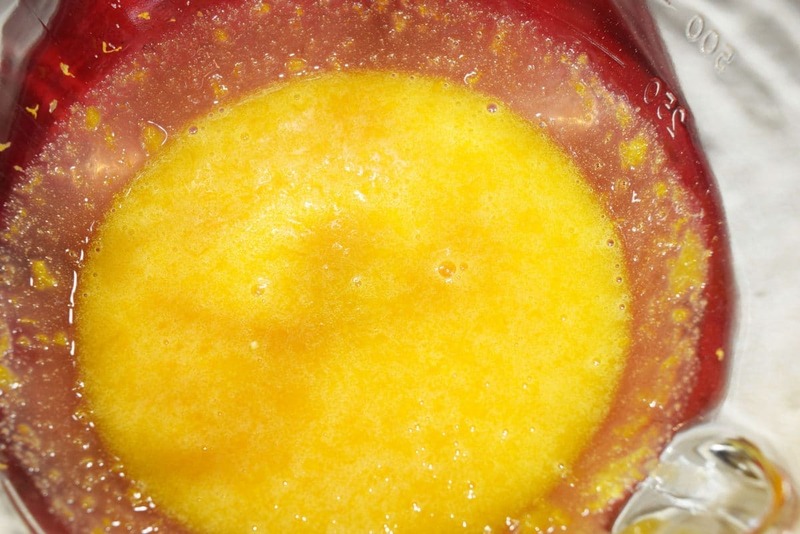 While whisking, slowly spoon in some of the hot cream into the egg mixture. 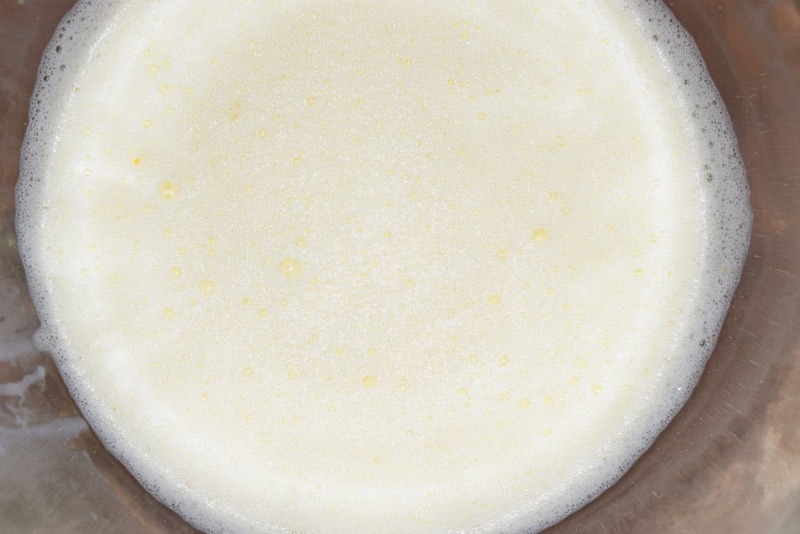 You do this to keep the eggs from becoming cooked.Then gradually pour in the remainder of the cream, while whisking. Strain through a fine mesh strainer if desired. 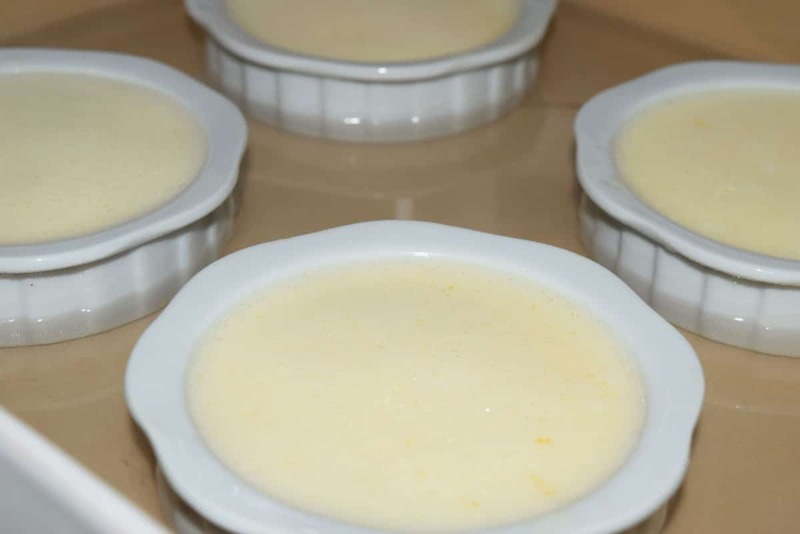 Divide custard into four 5 ounce ramekins, place on a roasting or baking dish. Pour water into pan half way up the sides of the ramekins. Bake 35 to 40 minutes until custards are just set. They slightly jiggle in the middle, but set around the edges. Carefully remove ramekins with tongs or spatula to a cooling rack and let set on counter for 30 minutes. Cover and chill for at least 3 hours or up to 2 days before serving. Join our Sunday Supper tastemakers as they share their best and brightest Citrus Recipes! That crackly sugar is perfection! And it is so nice these can be made ahead of time. 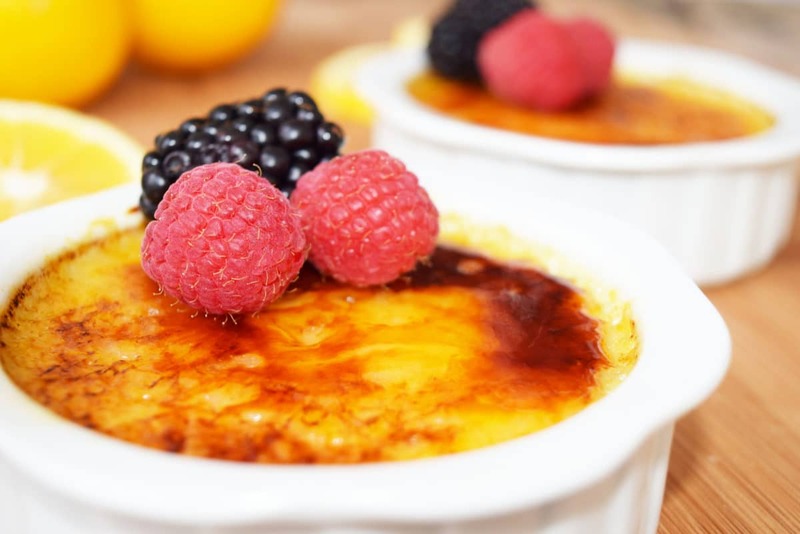 Your brulee looks amazing! Thanks so much for sharing at Meal Plan Monday!! Thank you Julia! 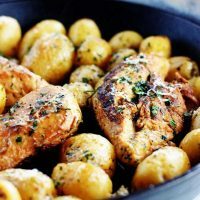 Thank you for hosting an amazing Meal Planning Recipe Tool! I always get great recipes to try! 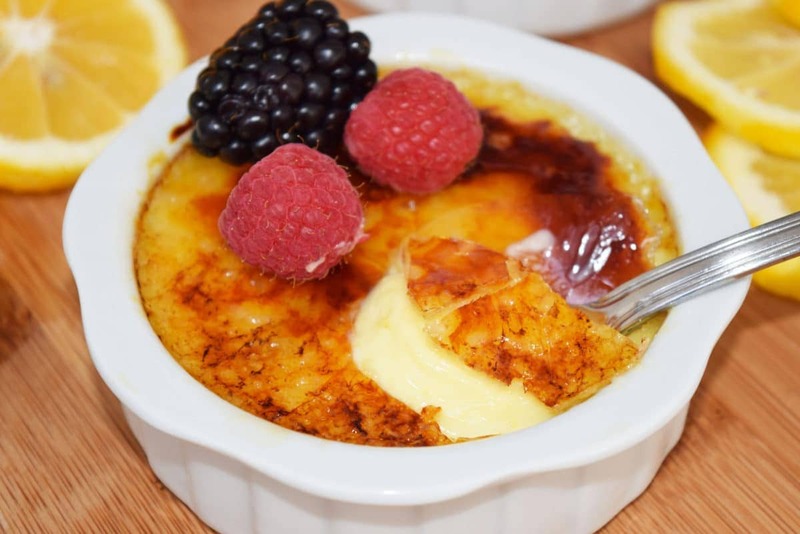 Sigh, there’s nothing better than a luxurious creme brulee. Meyer Lemon just makes it that much more tempting. I agree! It’s so hard to pass up! Those bright, beautiful Meyer lemons make it irresistible! 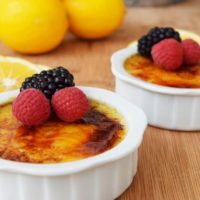 Love Meyer Lemons and incorporated into creme brûlée? Merci beaucoup, yes please!!! You’ve combined two of my favorites! Sounds delicious. 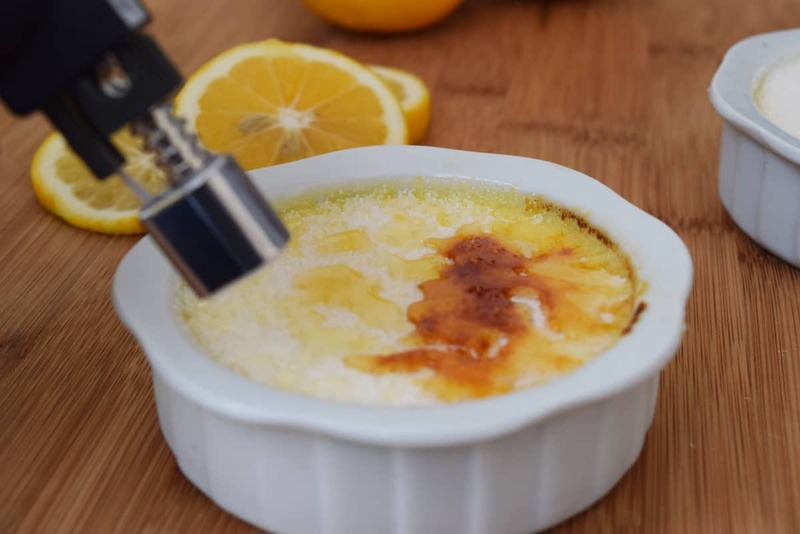 Creme Brulee is my favorite dessert and a lemon version sounds perfect for spring! Oh my! These look perfect! I, too, love that crunchy crust with the creamy filling. Comfort dessert for sure. I’ve never made creme brulee at home, so it’s about time I changed that! Thanks for sharing!! I order crème brulee as a special dessert and haven’t made it in a while. I love that you added Meyer lemons to this. I do too! It’s so easy to make at home! The Lemons give it a fresh new taste! Oooh, your lemon version looks scrumptious, Nikki!!! Thank you Liz! I enjoyed the way it brightens the flavor! Thank you Christie! It really is easy! The torch is a fun gadget, but you can do it under your broiler too! Have fun making this one! I think I can make this! I’m so psyched….I have made a pot de creme before and it’s very similar to this. I don’t have a torch tho….hmmm….might just have to get one for this recipe. Looks great! It really is easy to make! You can do under the broiler as well! I have only used a torch but the broiler would work too! I like mine extra caramelized!